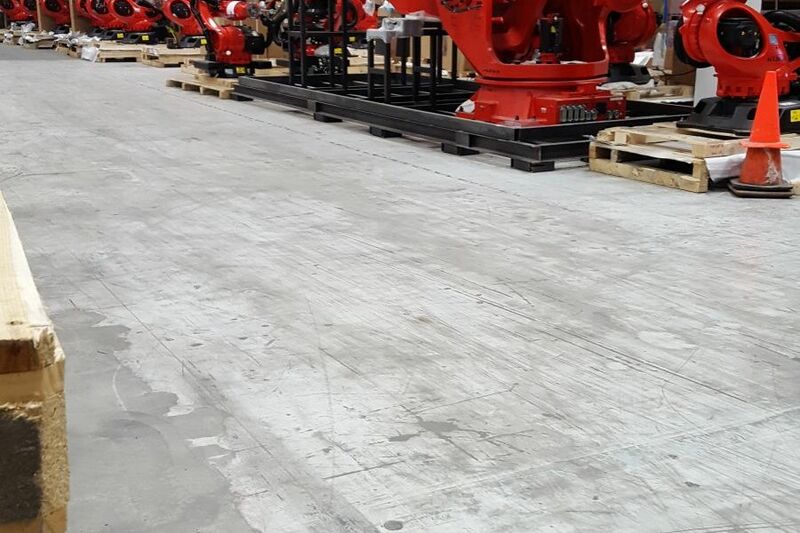 Tesla “hired” its first robots back in 2014 to be used as part of a dedicated production center for the Model S. These robots, developed by German industrial manufacturer Kuka Robotics, are also responsible for the Model X and Tesla’s energy product line. 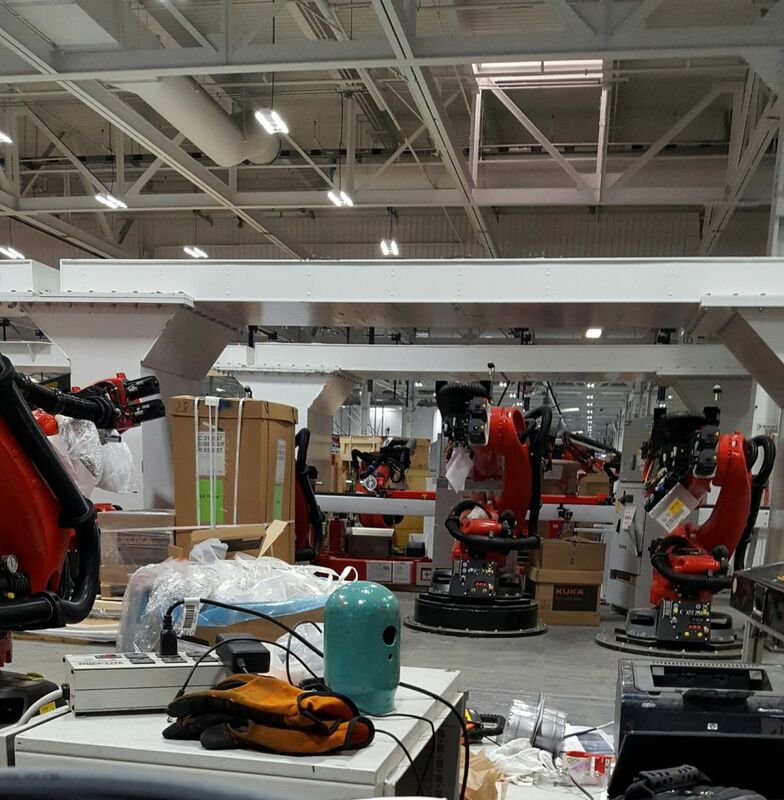 Now, photos leaked by someone who claims they work as a Field Service Engineer at Kuka Robotics posted by a user in SoutheastTraders forum show an army of Kuka robots ready to be shipped out. 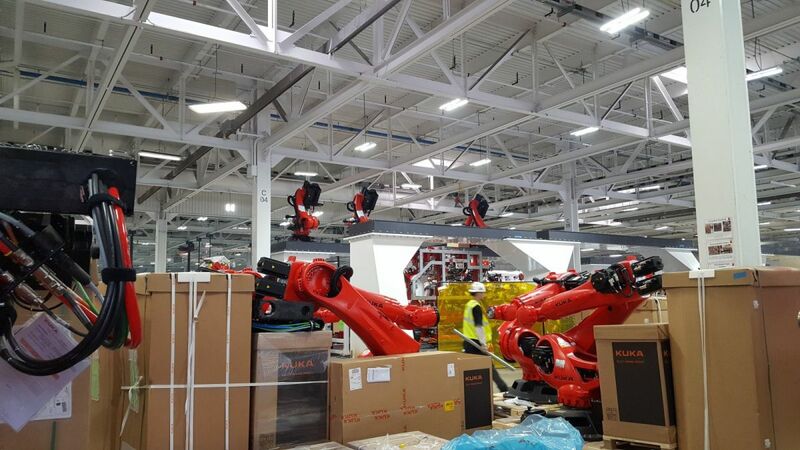 Tesla and Musk have long seen the value of automation in its factory production lines. 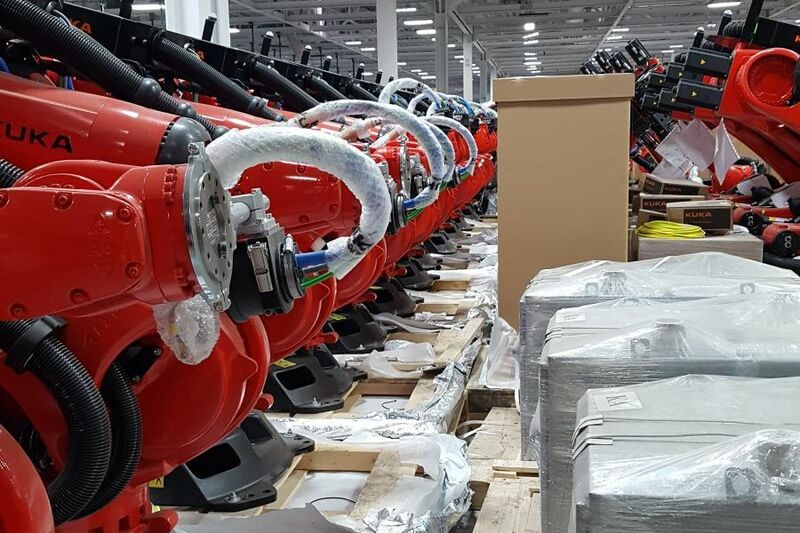 As Tesla’s highly-anticipated Model 3 electric vehicle is slated to begin low volume production by July, these robots — which cost between $50,000 to $500,000 — will be essential. Supposedly, Tesla spent more than $50 million on them — and the additional $1.4B capital raised in March certainly helped cover the cost. The Model 3 will be Tesla’s cheapest EV yet, priced at $35,000. It’s expected to have the latest Autopilot software, an entirely unique display system, Tesla’s solar roof technology, as well as a number of features found in preexisting Tesla models. As a less costly EV, the Model 3 is Tesla’s attempt to bring autonomous and green vehicles within the reach of more people. Research has indicated that autonomous vehicles are already saving lives, and helping the environment. Now it’s just a matter of getting them on the road.